Sapiens CustomerConnect (formerly called Sapiens PORTAL) is a modular, highly innovative portal solution specifically designed for the life, pension & annuity (L&A) and property and casualty (P&C) insurance markets. It is a direct-to-consumer application, enabling insureds to buy policies, view the statuses of their policies and accounts, and issue claims. Many other transactions can be performed that save both consumers and insurers time, and reduce costs, while increasing overall consumer satisfaction. 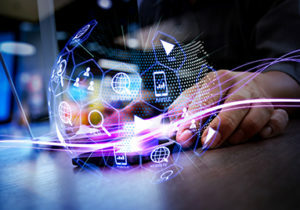 Insurers can leverage their investment in Sapiens’ core suites (Sapiens CoreSuite for Property & Casualty and Sapiens CoreSuite for Life & Annuities) by offering a unique, real-time consumer experience tailored to today’s digital natives. CustomerConnect is part of the full Sapiens DigitalSuite. The solution includes a journey builder and API configuration tool for innovative insurance business journeys. This allows insurers to quickly and easily add new journeys and configure existing customer journey paths. Sapiens’ portal solution supports multiple customer journeys throughout the full value-chain, from pre-engagement, through onboarding, servicing and claims. Sapiens also offers out-of-the-box templates and visual components for customer portals. CustomerConnect offers straight-through processing for quotes and illustrations, with seamless transition into active policy, as well as web-based underwriting to facilitate STP where appropriate. Sapiens DigitalSuite offers an end-to-end, holistic and seamless digital experience for customers, agents, brokers, customer groups and third-party service providers. The suite is pre-integrated with Sapiens’ core suites and is comprised of Digital Engagement and Digital Enablement and API Layer components. The suite is cloud-based. With full access to all historical activities and communications, insurers, customers and agents will have a 360-degree view of customers’ portfolios, policies, payment data, etc.